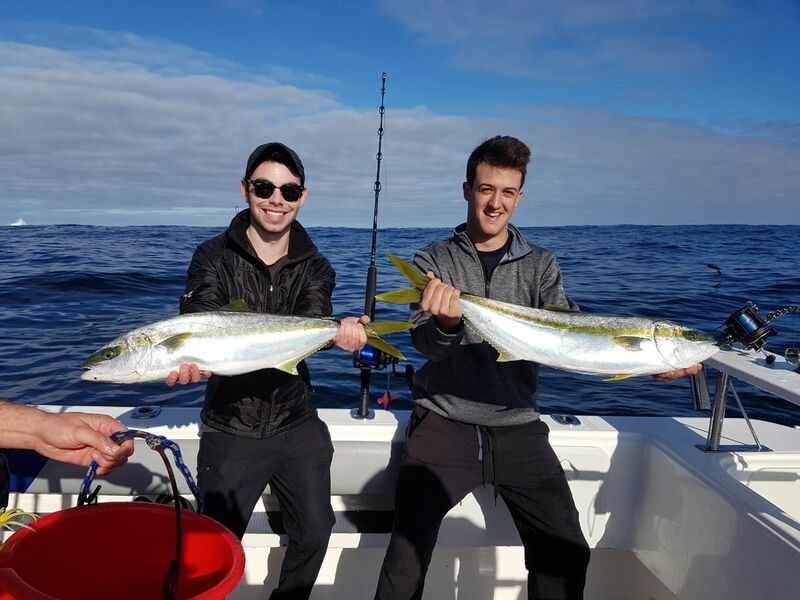 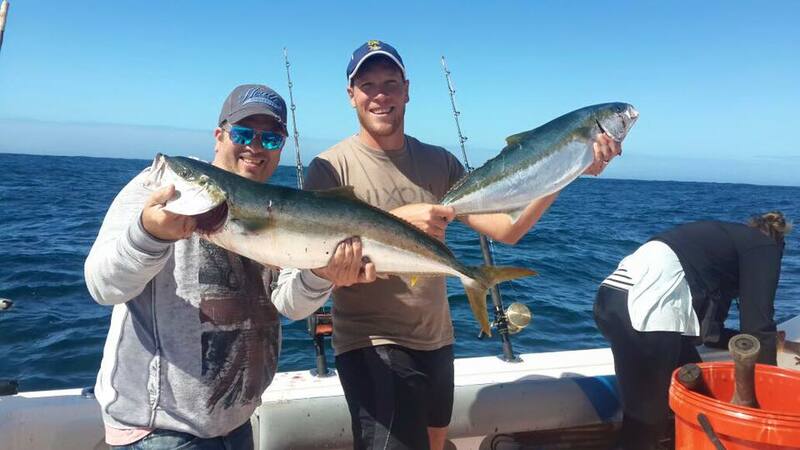 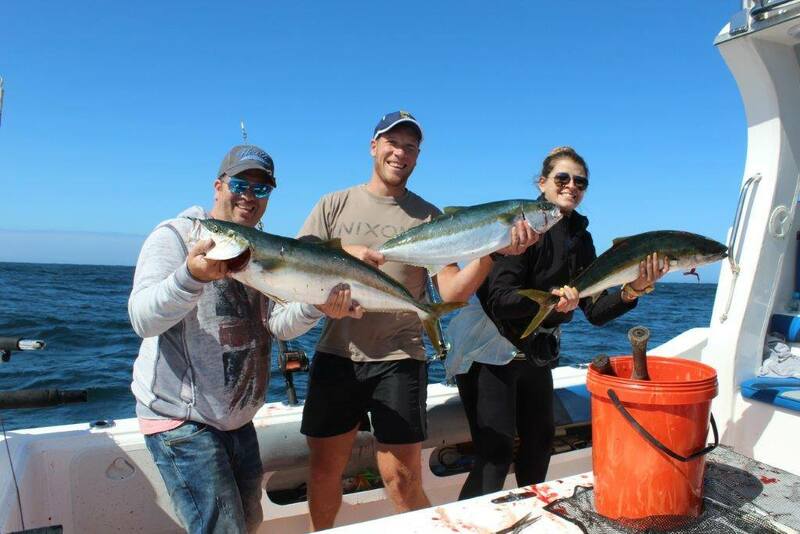 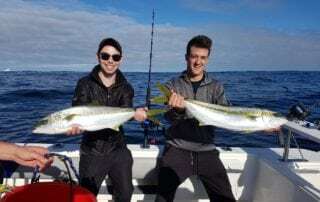 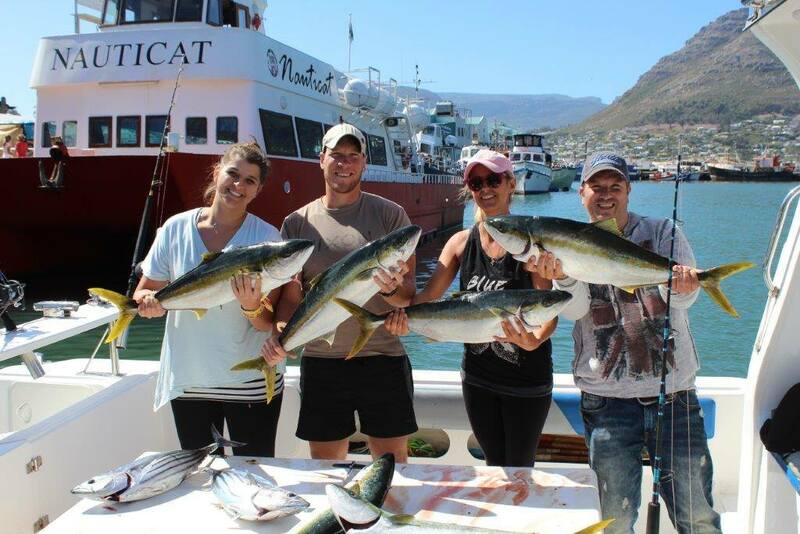 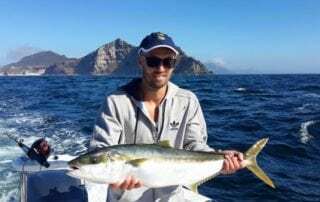 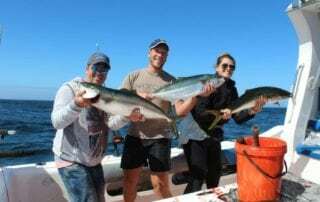 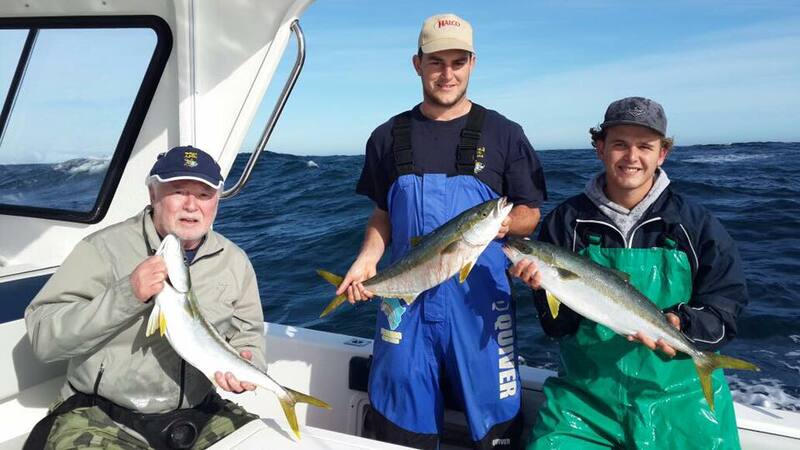 Book a Yellowtail Fishing Charter in Cape Town, Hout Bay. 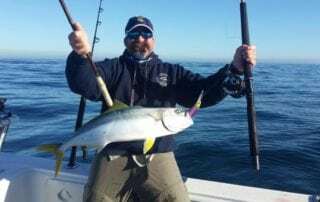 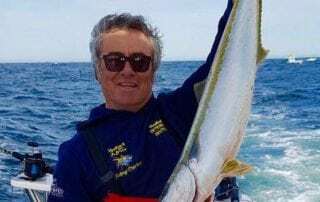 Yellowtail is a great sports fish to target! 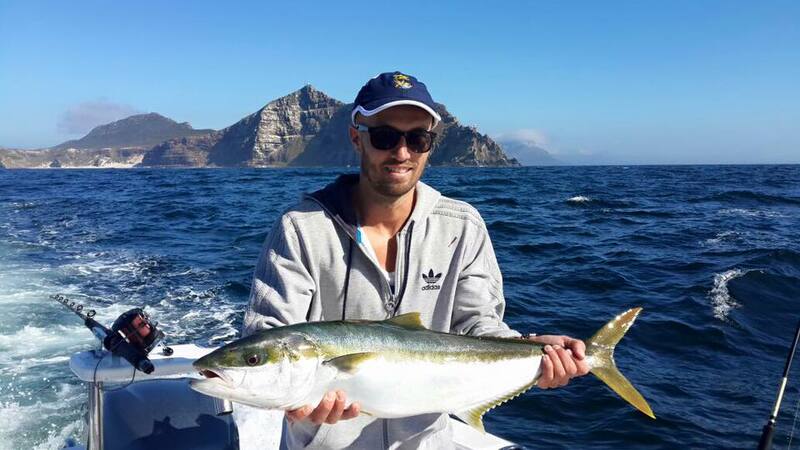 They’re found in large numbers off Cape Point and are one of our favourite fish species. 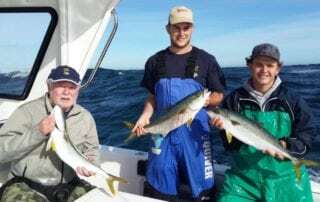 Yellowtail feed on squid and smaller fish like sardines. 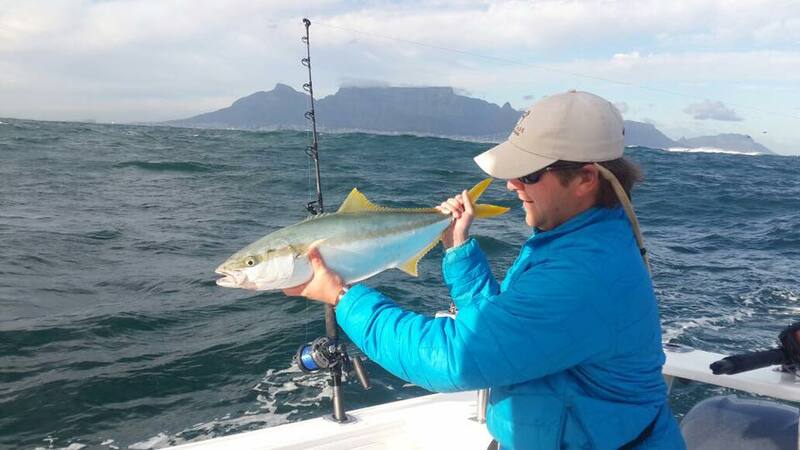 Using a range of artificial baits like lures and jigs, we’ll put you on to the biggest fish in the Cape! Yellowtail are known to take surface lures, which is a very exciting method of fishing. 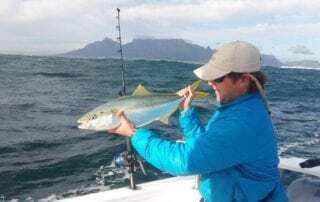 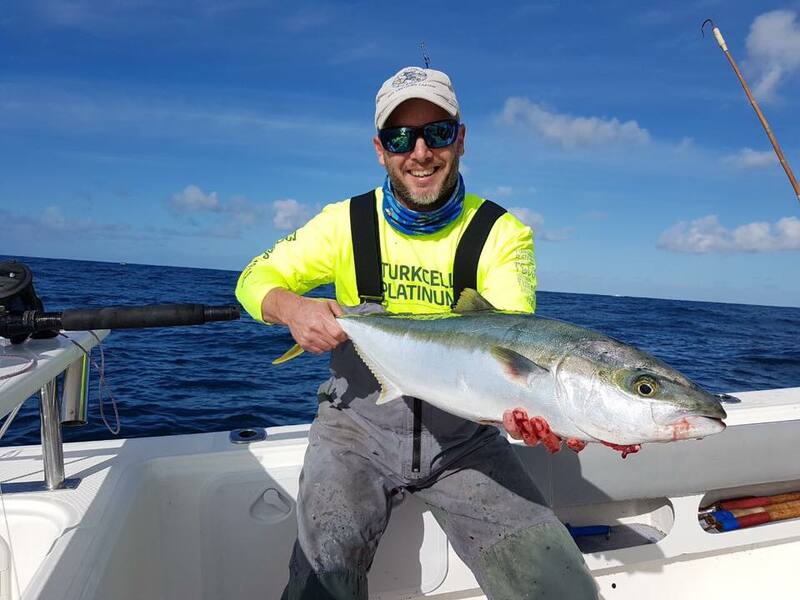 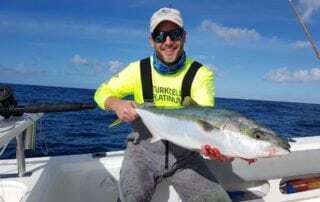 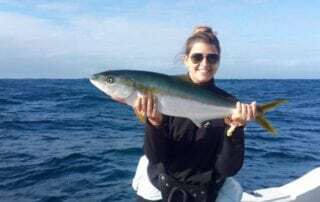 Yellowtail fishing is often best found closer inshore than tuna and marlin and it is often possible to see the shoals of yellowtail swimming off Cape Point. 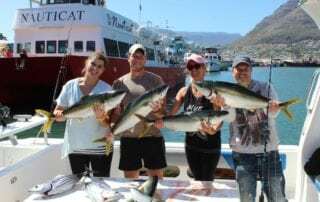 Yellowtail are on the South African Sustainable Seafood Innitiative (SASSI) Green List, which means they are not threatened by fishing activity. 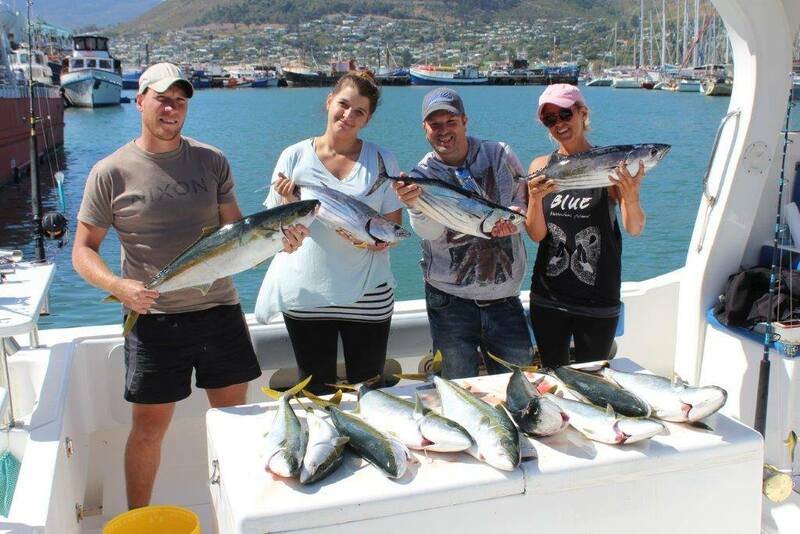 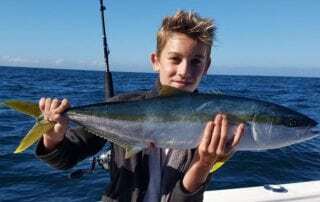 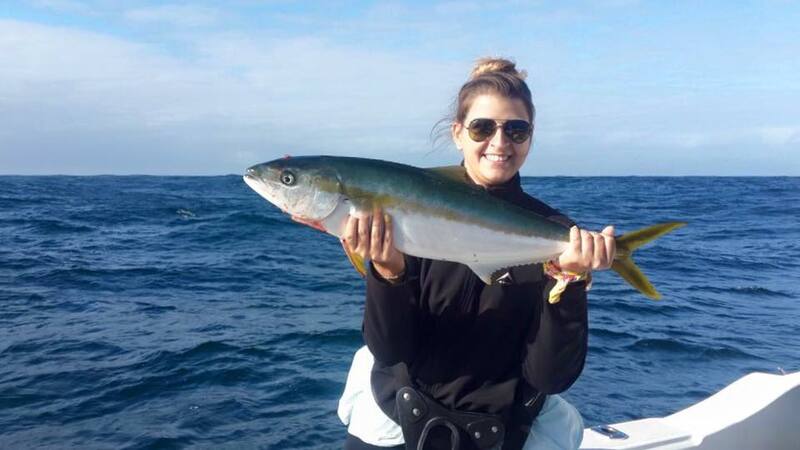 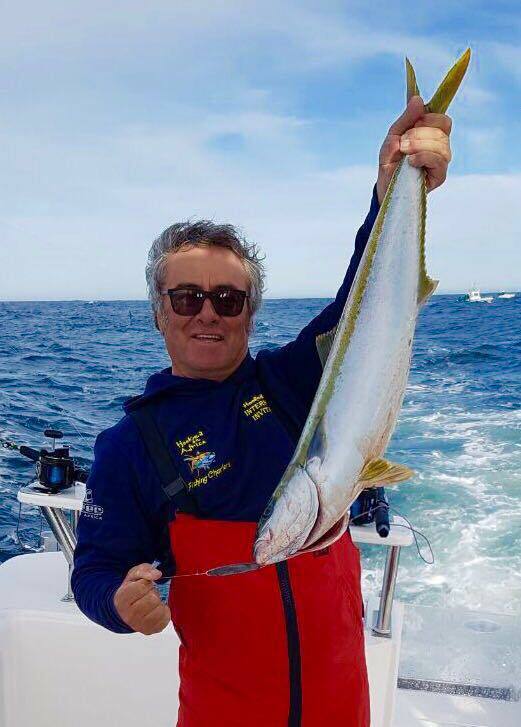 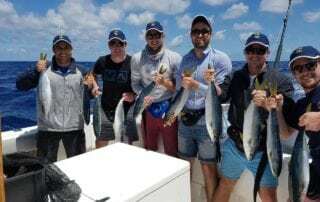 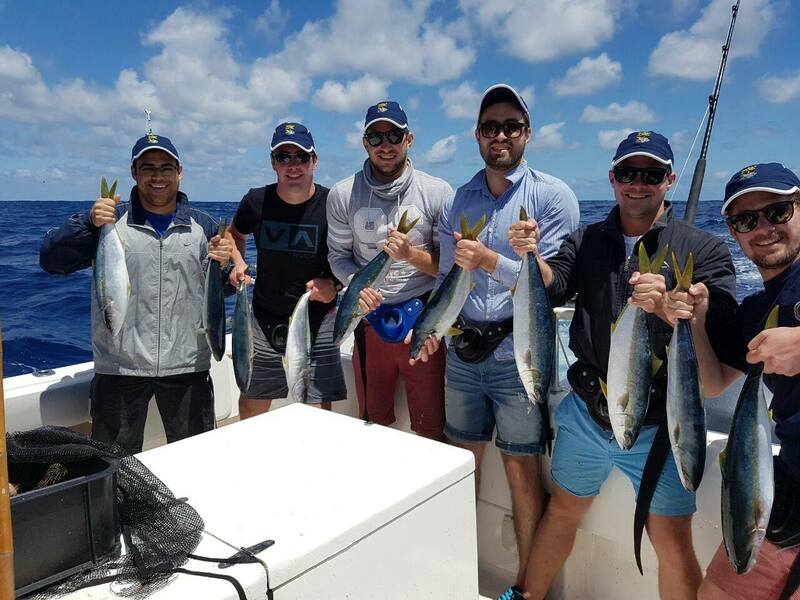 Yellowtail Fishing Charters	Overall rating:	5	out of 5 based on 4	reviews.